After a very wet, wet season we kicked off in April. The year has been quite eventful at the Mossman branch a Barbecue at our place at Julatten which was well attended. 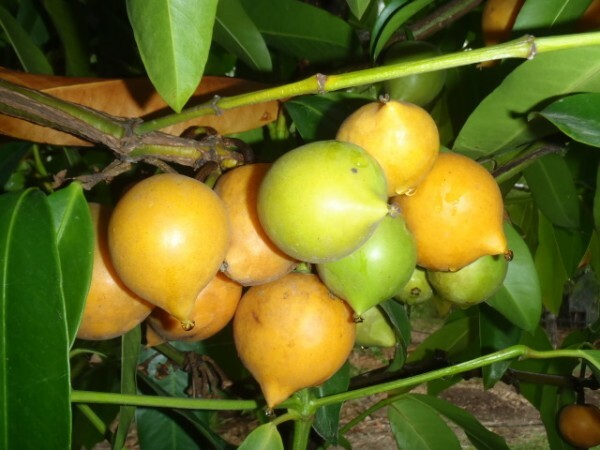 Lots of tropical fruits and nibbles, and plenty of people who like to talk about fruit trees. Wow! 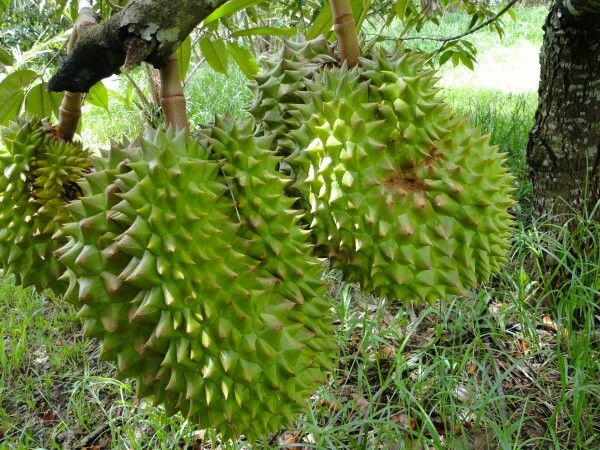 In June we visited another farm in Julatten and although they had Tropical fruits they were primarily a commercial herb farm selling to the local restaurants and shops. It was interesting to see how the growing beds were hilled up so that the heavy rains of the wet season wouldn’t water log the herbs. All in all, a very successful setup and a large variety of herbs. July we visited two properties in the Mowbray valley both these farms were on the coastal strip near the edge of the Great Dividing Range. The soil and the climate were different to the high tableland of Julatten. Lots of well established trees and a higher rain fall. 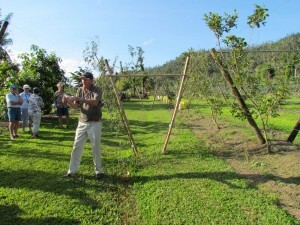 August found us in Mareeba on a large converted tobacco farm which is now a successful organic tropical fruit orchard. 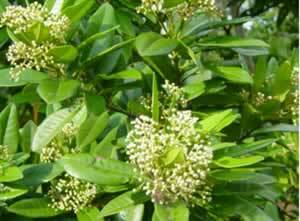 Many varieties of established tropical fruit trees have been grown without chemicals. The only spray was organic cultures. Some of the locals live entirely on raw fruit and vegetables. In the same month we had a trip to Mission beach to have the Tatura trellis explained by the man who designed the trellis Bas Van Den-ende. This was exciting as these fruit trees had survived on this trellis after a large cyclone had been through. We also shared a field day at Mourilyan with Cassowary coast on a farm that had been through two cyclones. 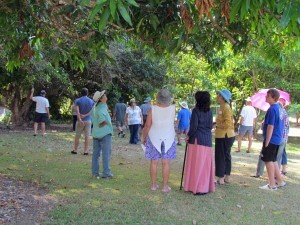 October and we all went to Whyanbeel just north of Mossman to look at lots of Mangosteens and lychees in a well established orchard. As always the ladies brought their delicious cakes etc made with tropical fruits and herbs that would astound any cook. Our last get together for the year was at Sugarworld at Edmonton south of Cairns where we shared a barbecue with Cassowary coast and members of Sugarworld Friends. There, after many tasty delights we toured the park. 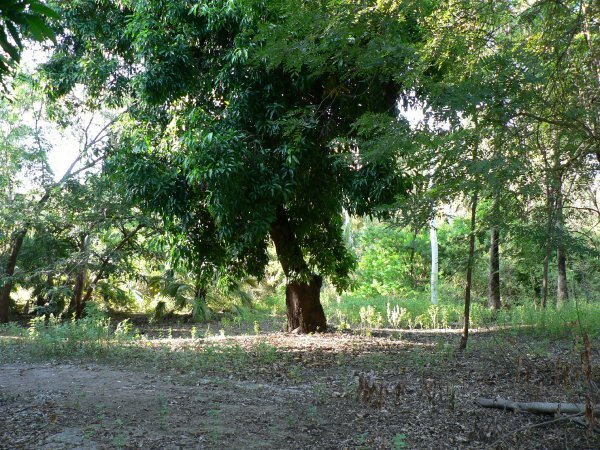 Some very old and some replanted tropical fruit trees, mostly older varieties. We are now taking a break as the wet season rolls down from the north and the anticipated 2012 Field days and the RFA AGM to be held at Mossman. Exclnt report Les , looking foward to getting together with your branch next year again .